Snarky Puppy performing at the Ground Up Music Festival Saturday. On the foreground, Michael League, bass, left and Chris McQueen, guitar. You annoy the goddess of weather at your own peril. After some people (I don’t want to mention any names here …) humble-bragged about the setting, the mild temperature and the light breeze on a Friday evening in February, it was almost a given that Saturday would be cloudy, windy, and with periods of light rain and drizzle. Still, the groveling and the apologies apparently were accepted because the skies cleared for the latter part of the afternoon into the evening. Lesson learned. It won´t happen again. Snarky Puppy performs at some point every day of the festival and Saturday’s set mostly served to debut music from the group’s upcoming album Immigrance. The new songs, while still sourced in broadly varied traditions and featuring smart arranging, were mostly anchored by uniform, steady grooves setting the table for improvisers. On a first impression, they sounded almost minimalist in comparison to the suite-like, thru-composed pieces the band is known for. 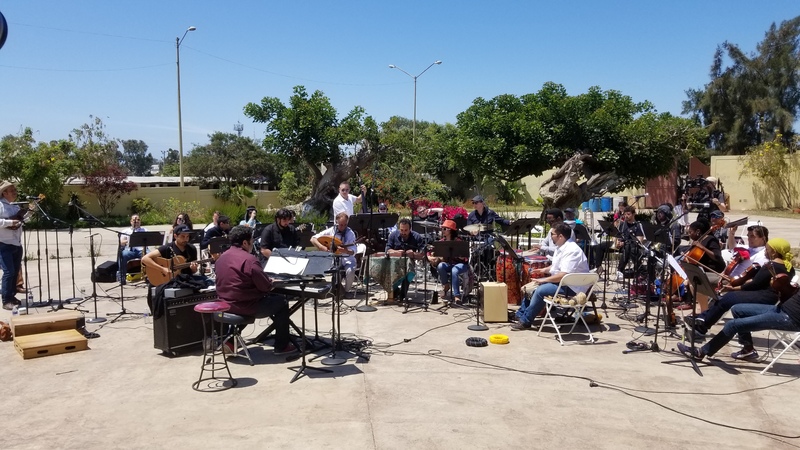 Arturo O’Farrill and the Afro-Latin Jazz Orchestra with guests recording at the Casa de la Cultura at Playas de Tijuana, Mexico, in May 2018. Courtesy Arturo O’Farrill. There is a rich tradition of political and social activism in jazz, and in recent months it has taken on a distinct accent. Confronted by an administration that has attempted to sabotage the recently restored relations with Cuba; implemented brutal border enforcement tactics, and offered a callous response to the aftermath of Hurricane Maria in Puerto Rico, several Latin artists have taken it upon themselves to push back, speaking out from the stage, but also through their recorded work. None perhaps has been longer at it or has been more outspoken and ambitious in his proposals than pianist, composer, bandleader, and educator Arturo O’Farrill. Recorded in Tijuana, San Diego, and New York City, O’Farrill’s latest work, the two-CD set Fandango at the Wall (Resilience Music) brings together musicians representing several countries and music traditions and is a moving and powerful statement on border walls — both the physical as well as the ideological. Miguel Zenón, Puerto Rico, And What Might Be Beyond The Next Corner. Saxophonist and composer Miguel Zenón. Photo by Jimmy Katz. 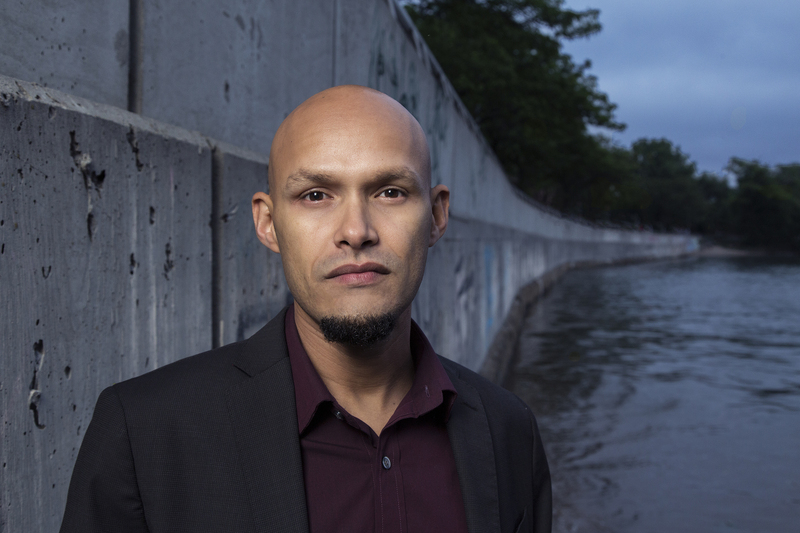 On Yo Soy La Tradición (I Am The Tradition), his first full album featuring a string quartet, Puerto Rican saxophonist and composer Miguel Zenón re-imagines Puerto Rican musical and cultural traditions utilizing the tools of European classical music and jazz. It´s an intriguing proposition — just don´t expect musical postcards from home. Zenón is a creator and an explorer, not a nostálgico. He brings to his searches an intense, serious-minded curiosity that tends to give his work a sharp, probing edge. It´s demanding music, deliberately constructed and surprisingly emotional, but the rewards are worth the effort.